ITSLIQUID GROUP is a communication platform for contemporary art, architecture and design. 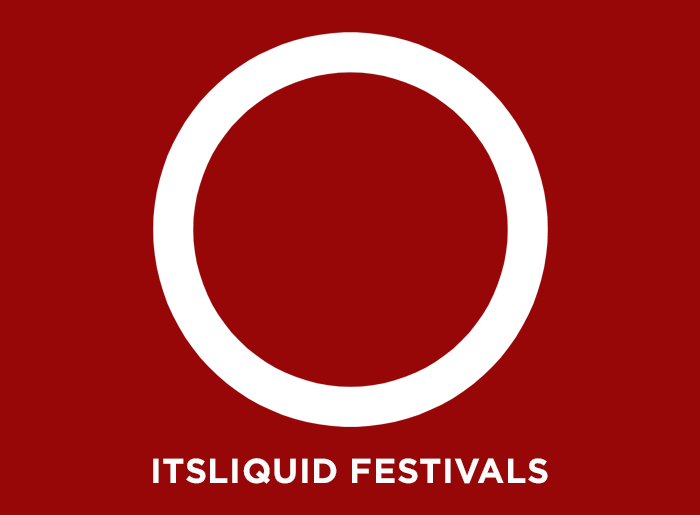 Starting from 2001, ITSLIQUID GROUP has organized more than 150 events all around the world, involving more than 5,000 artists, in more than 60 international venues. 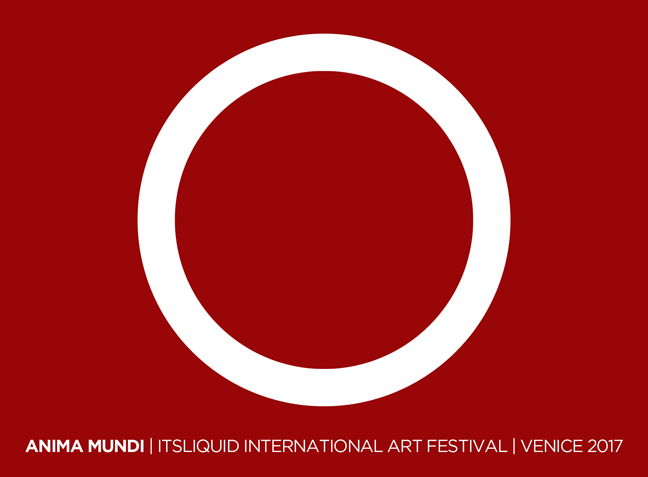 Since 2014, ITSLIQUID has managed different festivals in many prestigious venues and historical buildings in Venice (Italy). ANIMA MUNDI FESTIVAL, during the same period of the 57th Venice Art Biennale 2017, and composed by 3 main events RITUALS, CONSCIOUSNESS and VISIONS, has been an amazing success and has been presented more than 700 works of painting, photography, installation/sculpture, video art, architecture, design and performance art, realized by more than 250 artists and architects, coming from 40 different countries, like Amalia Gil-Merino (Germany), Antonia Pia Gordon (UAE), Saye Architects (Iran), André Nóbrega Maia Souza (Brazil), Michael William Benton (Canada), Somsak Chaituch (The Netherlands), Darja Stefancic (Slovenia), Kumari Nahappan (Singapore), Nargiza Usmanova (Canada), Ewout van Roon & David Wurczel (The Netherlands), Marilia Elstrodt (UK), Arnaud Lacoste (USA), Federico Moccia & Sergio Patricio (Austria), Yoav Brener (Israel). The festival was focused on the concept of ANIMA MUNDI, that according to several historical cultures, religions and philosophical systems, is an intrinsic connection between all living entities on the planet, which relates to the world in a similar way as the human soul is connected to the human body. 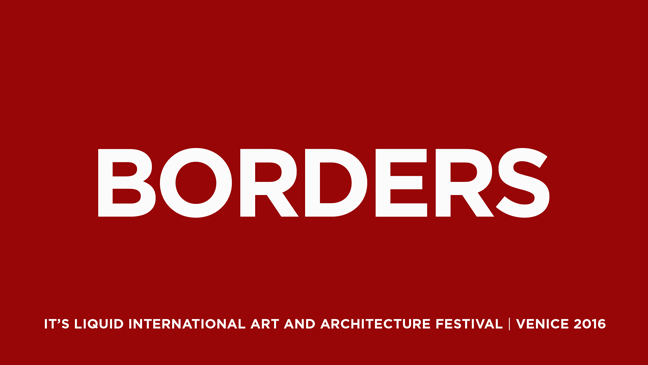 BORDERS FESTIVAL, organized in Venice during the period of the 15th Venice Architecture Biennale 2016, registered the participation of 180 selected artists and architects coming from 36 countries with more than 500 works exhibited. The festival included three main events BODIES+CITIES SKIN, FRAGMENTED IDENTITIES and FUTURE LANDSCAPES, involving international artists and architects like JEMS Architekci (Poland), KAMJZ (Poland), MASKE+SUHREN (Germany), Linda Hollier (UAE), Sara Rahanjam (Iran), Catherine Widgery (USA), Amalia Gil-Merino (Germany), Silas Schletterer (The Netherlands), Gennady Roitich (Israel), Andrea Domenech Revesz (Spain), Atelier Morales (France). The festival was focused on the concept of “borders“, between the soul and the body, the man and the city, the city and the ground. The festival analyzed the idea of human and urban borders, how people live them and how they are modified in contemporary society. 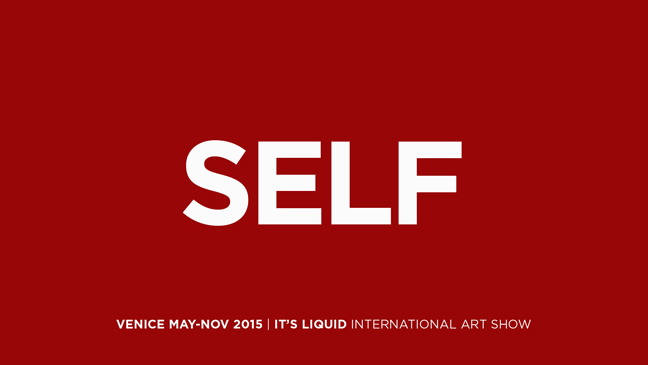 SELF festival 2015, during the 56th Venice Art Biennale, composed by 7 collective events: WHY SELF, PERSONAL TALES, SELF PORTRAITS, SELF IDENTITIES, FRACTAL IDENTITIES, SELF MEMORIES, and FUTURE MEMORIES, and 4 solo exhibitions LIQUID ROOMS, exhibited artworks realized by more than 170 artists from 35 countries, as Glynis Ackermann (Switzerlan), Antonia Pia Gordon (UAE), Clare Haxby (Singapore), Simon Maarouf (UAE), Iveta Tomanová (Slovakia), Khulood Thani (UAE), and Daniel Pešta (Czech Republic), presented by the Museum Montanelli (Prague). The festival was aimed to conduct an intensive investigation about the SELF. After many years of research and exhibitions about the evolution of the idea of identity, we asked artists to share their personal tales through artworks; to create a link between the personal experience and the audience; to tell us which are the stories and reasons beneath the works. During the 14th Venice Architecture Biennale, MORPHOS festival 2014 presented artworks of more than 100 artists and architects, coming from than 30 countries, involving International renowned architectural firms as MVRDV (The Netherlands), ADEPT (Denmark), LETH & GORI (Denmark), Derek Mark Pirozzi (USA), Ross Barney Architects (USA). 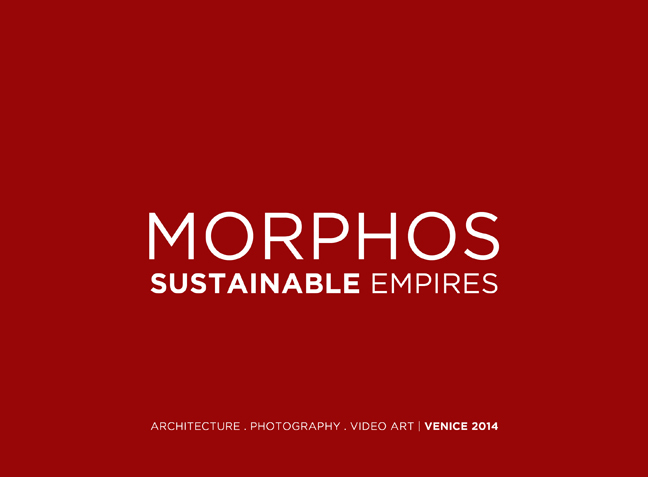 The main concepts of MORPHOS – Sustainable Empires were the unifying power of sustainable architecture and the relationship between man and the city. We imagined a future in which sustainable thinking will be the common ground of every cultures’ architecture expressions, and the hybridization of social and cultural realities will represent the new frontier of our lives. Artists, photographers and video makers presented works on the theme of urban identities and hybridization between identities, bodies and urban settings in contemporary time. ITSLIQUID GROUP is a web based information platform dedicated to worldwide distribution of information about calls for entries, exhibitions and events in some of the world’s leading art galleries, museums and foundations selected, about architecture, design and fashion. Founded in 2001 by Luca Curci, ITS LIQUID has already built a readership of more than 200,000 qualified subscribers. Among them architects, designers, artists, collectors, art critics, curators, dealers, and other personalities of the international art, architecture and design world. It provides press office services, e-mail marketing, media marketing and social media marketing services. ITSLIQUID GROUP provides with advertising services such as ITSLIQUID Newsletters (a dedicated newsletter sent to the mailing list), web banners, press office services for events and projects, articles and specials published on the website, media partnerships services, and international contests organization. ITSLIQUID GROUP includes a section dedicated to international art events’ organization that manages exhibitions of photography, video art, installation and painting; it organizes solo and collective shows, art residencies and international contest. Its object is to use new technologies to globalize the language of art, to connect artists working in every part of the world. Since its beginning, the group has organized more than 150 events all around the world, involving more than 5,000 artists, in more than 60 international venues in Mexico, Poland, Turkey, Argentina, Canada, Italy, Australia, USA, Portugal, Colombia, Croatia, Greece, India, etc. Most of the last events have been realized in museums (CCCB – Centre de Cultura Contemporània de Barcelona in Spain, NCCA – National Center for Contemporary Arts in Moscow, etc. ), galleries and private foundations.